Check with your service provider whether you have inclusive calls to 0870 numbers in your call plan. If you have inclusive 0870 minutes, dial our access number 0870 494 0555 from your existing UK landline or mobile. 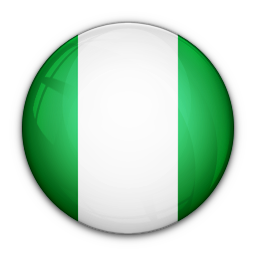 Enter your full destination number for Nigeria starting with 00 e.g. 00234xxxxxxxxx followed by hash (#). Make free calls to Nigeria using inclusive minutes to 0870 numbers from your home, office or mobile phone. Simply dial 0870 494 0555 before you dial your Nigeria number to make free calls to Nigeria landline and mobile lasting up to 60 minutes! Calls may be made from your call plan inclusive 0870 minutes. Make Free Calls to Nigeria from UK to 80 countries from UK landlines and mobiles with your inclusive minutes. Make free international calls now! See FAQs for details of call providers offering inclusive 0870 minutes call plans. See FAQs for how to check whether your call plan has inclusive 0870 minutes.